As the managing editor for two popular blogs that accept guest contributions — The Write Life and Muck Rack — I spend most of my days reviewing and responding to pitches and submissions. To give some context, in February, The Write Life received 119 legitimate pitches/submissions. Legitimate, meaning, from actual people; not the messages from spambots and content mills we receive on a daily basis. If I included those (which I delete immediately without responding to), we probably received around 150-175 pitches in the month of February. We accepted and plan to run 22 of the pieces pitched or submitted. 97 were rejected for various reasons, which I’ll explain below. That’s an acceptance rate of just 18 percent. Here’s a secret: I don’t *want* to reject your submission! It actually makes my job 100x easier when I can accept your piece. After all, at The Write Life, we publish blog content five days per week, meaning I’m looking for approximately 20-25 original, creative and insightful pieces per month. At Muck Rack, we publish three days per week, so I’m looking for 12-15 posts per month. It’s my job to fill our editorial calendars, so believe me when I say, I want your ideas…and I want to say YES to your pitch. Unfortunately though, for every solid pitch or submission I receive, there are often seven or eight pitches I immediately reject based on a number of different criteria. 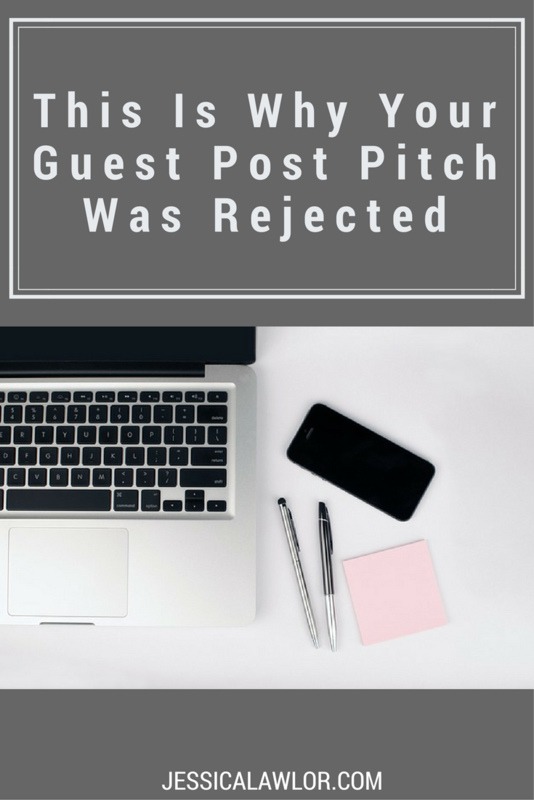 Because it’s not possible (or practical) to respond to every single declined pitch with the specific reason a piece was rejected, I’m sharing key offenses to help you avoid a rejection the next time you pitch your dream publication. 1. Not following our clear and specific submission guidelines. Both The Write Life and Muck Rack have robust “Write For Us” pages detailing the types of posts we’re looking for, the proper way to submit your work and what to expect in terms of payment/promotion when your piece is published. First impressions count, and that immediately puts a bad taste in my mouth. For example, at The Write Life, we explicitly ask writers to submit their post as a Google document (even including instructions on exactly how to do that), yet I continue to receive posts as a Word document (I don’t even have Microsoft Word) or pasted in an email. We ask writers to include relevant links from The Write Life in their piece, and I receive dozens of posts with no links. File under just as annoying: asking me where to find our submission guidelines. Oh boy. Search the homepage or use this handy tool called Google, please. Follow directions! It’s that simple. A blog creates submission guidelines to help set you up for success. When you carefully read the guidelines and follow them, you’re already two steps ahead of other writers in my book. In your pitch or submission, let the editor know you’ve read the submission guidelines. I love when I receive a pitch that says something like, “Hi! I’ve submitted my post here via a Google document per your submission guidelines. I’ve also included my bio information, as well as relevant links within the post. I look forward to your response!” This tells me upfront you’ve done your homework. I already like you, and now want to love your pitch or submission. 2. Pitching an idea or post that has nothing to do with the content we publish. This may be the worst offense yet. On a near daily basis, I receive a handful of completely off-base pitches. Even if you’ve never read our blog before (which you definitely should before pitching), you can be pretty sure that topic would not make sense for a site about writing. When I receive an off-base pitch like this one, I assume the writer is firing off that same pitch to multiple websites. They don’t truly care if my site publishes their work, and therefore, I don’t care to consider their piece. Please…take time to actually read the blog you want to pitch before sending off your idea. Familiarize yourself with the type of content a blog publishes, so you can then pitch a relevant idea. Explain why your idea or piece is a perfect fit for my website. Just a quick sentence or two will do here. Over at Muck Rack, I’ll often receive a pitch from a PR pro who says, “Hey! I saw Nicole’s piece on how to get the attention of a journalist. I’d love to build off of that piece and share tips from a PR pro’s perspective” or something to that effect. Referencing another post on our blog, or explaining why your piece is a fit for my audience helps me understand why I should publish your work. 3. Submitting a piece that looks nothing like what we publish. If a writer takes the time to read even just 2-3 posts on The Write Life’s homepage, they would notice some key trends. We’re a big fan of list-based posts. We tend to use headings and subheads to break up content. Our writing tone is very conversational, and we use a lot of white space, often breaking up large paragraphs into smaller ones. We link out to other relevant posts from our blog. So, when I receive a post submission with super long paragraphs, written as an essay, with no links to our blog or external sources, all I can do is shake my head, immediately click to my canned “not a fit” response and hit send without even reading their full post. Your writing may be amazing, but we’re not going to change up our style and post layout to accommodate. Instead, you can adapt your writing to fit within our style. Become familiar with the blog’s style and aim to emulate that as best as possible when you send your pitch or submission. This isn’t to take away your unique voice by any means, but it helps me to see that you understand our style and can make your voice fit within those parameters. Look for the blog’s most popular posts (The Write Life details some of those on the sidebar of our homepage, as do many other big blogs) and use those pieces as your template. Study these pieces; see what they have in common, and then use that knowledge to write a piece an editor can’t help but say yes to. My core job as a managing editor (among many other duties) is to approve pitches, plan out our editorial calendar and edit and publish posts on our website. My job is not to brainstorm ideas on your behalf. That’s your job. So, please…don’t ask me what to write or what we’re looking for. Again, we’ve likely detailed that information in our submission guidelines. Over on the Muck Rack blog’s guidelines, we even outline some of our top-performing posts and provide a list of our most popular pieces from the previous year to help give writers an idea of what works for our audience. Read the blog! It sounds so simple, and I know I keep going back to this tip, but it’s really all it takes. Don’t pitch the editor just yet. If you know you want to write for a specific site, but don’t have an idea, hold off! There’s no rush to pitch until you’re ready. Instead, wait until you have a couple of solid ideas you can stand behind and pitch them then. 5. Not making your message personal. As mentioned, I receive upwards of 150 pitches/submissions per month between the two websites I manage. Know which pitches *really* stand out? Ones that address me by name, reference something you know about me, or reference the blog or a post on the blog in a specific way. No one likes to receive an email addressed “Dear Sir/Madam.” You’d be surprised, but I see this way more often than I’d prefer. It’s not usually too difficult to find the information you’re looking for about an editor. A simple search of “managing editor” on The Write Life brings up this post I wrote introducing myself and my role to the blog’s community. My name and personal email address are included on Muck Rack’s submission guidelines. Do a quick Google search of the editor. Find them on Twitter; follow them there and check out their latest tweets. See something in there you might be able to mention in your pitch? Do that. Show you’ve done your homework. Be a human being! Yes, I may be the decision maker between whether your post is published or not, but I’m a real live human being sitting on the other end of a computer. Talk to me like you’d talk to one of your colleagues. Looking for even more tips on how to get into the good graces of a managing editor? You have to give The Managing Editor Show podcast a listen. 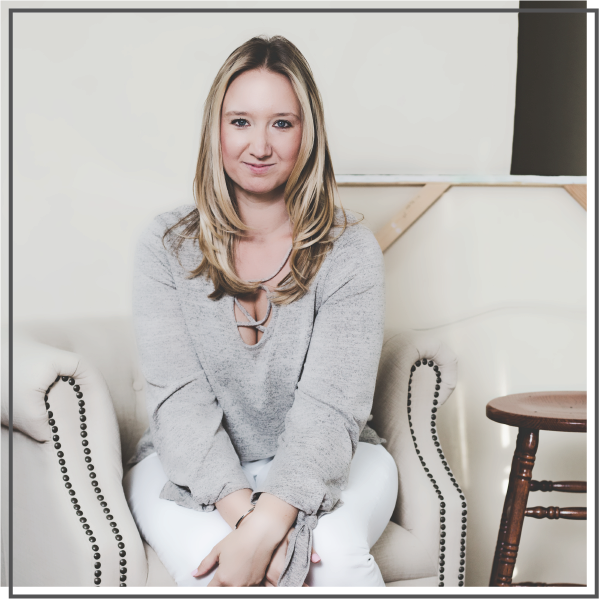 Hosts Jess Ostroff and Elisa Doucett offer up tips and advice for aspiring writers who want to get their work published by blogs and websites. Do you have any questions about working with a managing editor? I’d love to make this post as useful as possible. Leave your questions in the comments below and I’ll answer them there.